Please take note – Lecturer’s Conference will be 1 week earlier this year because of scheduling with the college. Please mark these new dates on your calendar. The conference will be held at Rivier College, Nashua, NH. Those of you that attended six years ago will remember the warm welcome we received at Rivier. It was our first experience with the pod setup of colleges today and was appreciated by all who attended. The theme for the conference will be “Beyond The Earth.” Connecticut will be exploring The Moon. If you have any suggestions or ideas for this program, I would love to get them. It also helps if I know in advance who will be attending and if you have any special talents. The Northeast Talent Competition will be replaced this year by a Variety Show. Our Talent winner will have the first shot at representing Connecticut. The show will also be open to anyone else who wants to participate, but the number of spots will be limited. I will go into more detail on this as the time gets closer. 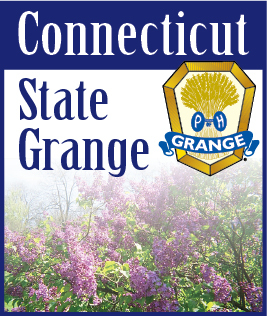 And, speaking of the Lecturer’s Conference, Connecticut will host it in 2013. If you know of a college that would meet our needs, please let me know. Hosting is a big job and I hope everyone will get on board and show the other States a great time “down south”. It doesn’t seem possible that it is February already. Happy Valentine’s Day! It also means it is time to plan for your Talent and “A Number” entries. June and the State Judging will be here before you know it. As I type this, we haven’t had any measurable snow since October. However, I think we are going to pay for this mild weather we have been having. So when that snow does come, why not get out your camera and get some shots for the photo contest. The sparkling snow would sure qualify for the America The Beautiful category. Stuck inside with your family? Why not enter the Family Celebrations Category. Or you could write an essay or a letter to a soldier. A list of the Photo categories and complete rules for all our contests are in the Bluebook. Your Lecturer also has a complete copy which was mailed the beginning of November.